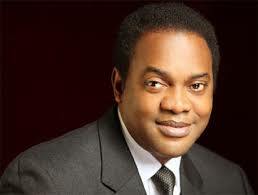 A former Governor of Cross River State, Donald Duke, has declared his interest to contest for the Office of President, in the upcoming 2019 general elections. The 56-year-old made the announcement during an interview with Deutsche Welle Africa on Friday. He is yet to disclose the platform on which he will be running. When asked what he thinks he can do better than Buhari, he said the current administration was totally out of tune with the current realities of Nigeria. “I see such obvious failings; I see a leadership that is steeped in the past and that’s really refused to evolve with a nation that’s predominantly a nation of young, aspiring people, and still doing the things the way they were done many many years ago and did not work. “We can’t go on this way and keep complaining. Someone has to take the bull by the horns and I intend to do that,” Duke said.